As Northeast Ohioans, we have come to know the winter season quite well. The temperature can drop twenty degrees in a day, yet that doesn’t surprise us. One of the most important considerations you can make in this cold weather is to stay safe on the road, know how to drive in snow, and take caution when driving on ice. These winter driving tips exist to keep you safe, so make sure to take this into consideration before you head out in the unbearable cold! Leave up to three times the amount of normal space you would leave between you and the car in front of you when driving on ice to give plenty of stoppage time. Remember to brake gently to avoid skidding. If your wheels start to lock up, take your foot off the brake. Turning on your lights and ensuring the windshield is clear with plenty of washer fluid to continue to clear it are simple, yet highly important tips for driving in the snow. Frequently traveled roads, bridges, and overpasses are the roads that will freeze over first. Take extra caution when driving along these roads. Finally, don’t assume your vehicle can handle all winter weather conditions on its own. Even four-wheel and front-wheel drive vehicles can encounter trouble when driving in snow and ice. It is hard to avoid the winter weather in Northeast Ohio. 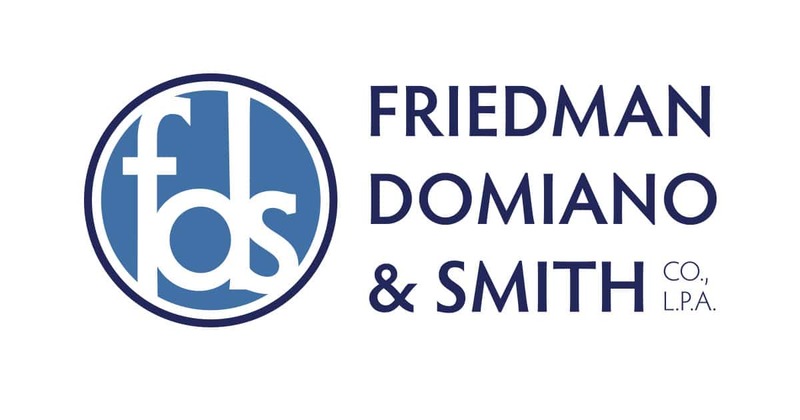 From all of us at Friedman, Domiano, and Smith, we wish you and your loved ones safe travels during this extra cold, winter season!